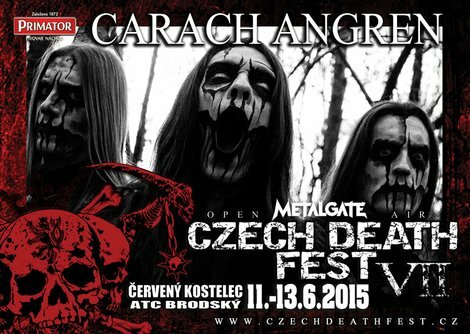 It did not unfortunately worked out last year, but this time nothing will surely stand in the way of our festival hosting the current masters of symphonic black metal, CARACH ANGREN of Netherlands, and their horror-filled performance! The band is currently working on a new album entitled “This Is No Fairy Tale”, successor to the conceptual opus “Where the Corpses Sink Forever”, as well as touring extensively around the world. Be sure not to miss the sighting of this Flying Dutchman!